My search for focused acne treatment came to an end with Kaya Purifying Spot Corrector. Unlike other products that need to be applied all over the face, the spot corrector allowed me to tackle acne one blemish at a time, with precision. I suffer from acne, like millions of others across the globe. Thankfully, clusters of pimples have never plagued my face. I just get two or three lesions at random locations. However, they’re persistent, and rarely shrink or lose their redness. That got me looking for a product that could be used to fight acne and pimples as and when they popped up. Eventually, I got what I was looking for in Kaya Purifying Spot Corrector. Here’s my experience. The packaging is quite nifty. It’s cylindrical in shape with a transparent casing containing the fluid. The cap is chromed, with an applicator fixed in its cavity. All I had to do is dip the applicator in the serum and dab it on the zits. The serum contains a fair bit of camphor. It, however, isn’t there only to impart fragrance. The painful, burning lesions that come with an acne breakout are effectively cooled by the camphor. Zinc sulfate is another ingredient present in this serum. It’s an essential mineral that thwarts acne with its astringent property. Salicylic acid also gets to work instantly, targeting oil present in hair follicles, exfoliating skin pores, and emptying comedones. Glycolic Acid, a naturally occurring alpha hydroxy acid sourced from sugarcanes, exfoliates the skin. It penetrates the skin walls, improving skin clarity and making it smoother. 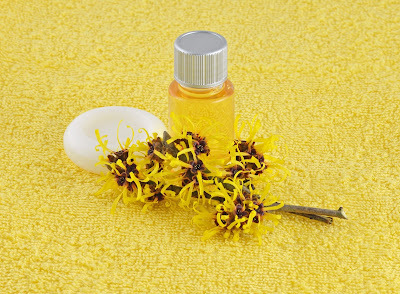 The final component is Witch Hazel. It has high antioxidant content and is an astringent that dries out blemishes and enhances skin clarity. I had 4 zits when I used this Kaya product. The low number of pimples made it easy to test the corrector’s acne-removing ability. And it didn’t disappoint. After using the corrector for 2 days, the zits started subsiding, and the pain was completely gone. Within a week, they were gone for good, and so were their scars. To read customer experiences regarding Kaya’s wide range of skincare and hair care products and services, visit Kaya Skin Clinic Reviews. Acne treatment mustn’t only include a topical ointment or cream. You need to nourish, moisturize, and cleanse your skin, and also banish any visible scars. Kaya Skin Clinic’s Advanced Acne Care Kit, formulated by expert dermatologists, is the best way to tackle acne and protect your skin. One pops into view, and another follows. After days of anguish, both disappear, only to reappear again shortly—and this time, they bring friends. That’s how acne raids your skin. 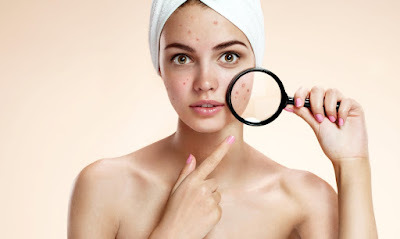 Acne’s cycles of appearing and disappearing take a toll on your skin, potentially leaving ugly scars that don’t go away for years. Act immediately if this has been the story of your life. You don’t have to burn a hole in your pocket to treat it either. What you need is the Kaya Skin Clinic Advanced Acne Care Kit. A complete and effective treatment for acne and scars that involves cleansing, nourishing, and moisturising your skin. Here are individual descriptions of every product present in this kit. This oil-free cleanser digs out the impurities lying deep in skin pores. It’s mildly-fragrant, and is reinforced with moisturizing effect of olive oil. Salicylic acid is also present in this cleanser, detoxifying your skin, which helps prevent acne breakouts. This oil-based nourisher contains almond and rose extracts to prevent skin irritations. It’s formulated for acne-prone skin, is perfumed, and is imbued with the conditioning properties of aloe vera for improved hydration. Like the other products in the kit, the toner is oil-free. However, it does contain salicylic acid, which works wonders in the removal of impurities from skin pores. Once the dirt is removed, your skin pores are tightened to limit clogging. The purifying corrector contains zinc sulfate, an astringent that dries out and dispels acne. Your skin becomes visibly clearer as a result of the exfoliating property of glycolic acid. Camphor, also present in this corrector, has a soothing effect; whereas witch hazel restores balance with its high astringency and antioxidant content. You can even use this corrector with makeup. For customer feedback and testimonials about these products, you can visit Kaya Skin Clinic Reviews. Had it with products that promise to improve skin health, but prove totally ineffective or even make matters worse? Try Youth Excell by Kaya, developed by leading dermatologists, that makes your skin look truly bright and youthful. Taking care of my family and working for 6-7 hours took a toll on my overall skin health. To make matters worse, I had to step out into the sun at least twice a day, for my job. Gradually my skin started losing its lustre and suppleness. I was 24, but my skin definitely looked more like a 40-year old’s. My friend noticed this and recommended Youth Excell by Kaya. I’m not the kind for elaborate and expensive skin healing procedures, which is why I just loved Youth Excellence. Come to think of it, it was kind of like having a spa in a bottle. What Makes Youth Excellence Special? The skin is a living, breathing entity. And, like anything that lives, it has the ability to reverse the damage it takes from free radicals and stress. Kaya Skin Clinic’s Youth Excellence targets the stem cells in order to increase the skin’s ability to regenerate skin cells. 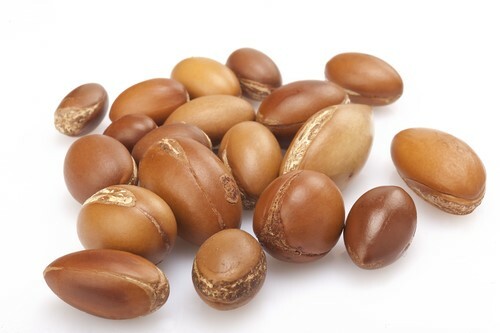 It uses extracts from Argan tree stem cells, which boost the skin’s capacity to regenerate. The end result is tighter, radiant, and youthful skin. This is the easiest way to restore skin; it’s rich in collagen that fills up the skin cells. This solution forms a shield over your skin by acting as collagen, consequently improving elasticity and hydration. Derma Stemness Reviving serum contains Argan stem cells; together with liposome technology, it reaches the deepest skin cells to improve your skin’s ability to regenerate. As a result, this oil-free extract leaves your skin looking rejuvenated and firm. The last entry on this list is a smooth, velvety cream that contains both stem cells and Argan tree oil. Its job is to improve regenerative capabilities and engineer a safe and protective enough environment for the skin cells to thrive. These three products can completely transform the way your skin feels, giving it that youthful look every woman craves.